There will be 21 such cars and sales starts in Canada in the next month. There are 3 types of color Alpina B7 Exclusive Edition, plus 7 colors for each color. The color of the radiator is black like 21-inch wheels and high-performance tires. The car still had the exhaust system Alpina sports type. Inside there are premium black leather, Alpina steering wheel, unique floor carpets, special head restraints and much more. New car have a 4.4-liter twin-turbo V8 with a power of 600 "horses" and 799 Nm. The auto dials first hundred kilometers per hour in 3.7 seconds. The maximum speed is up to 312 km/h. 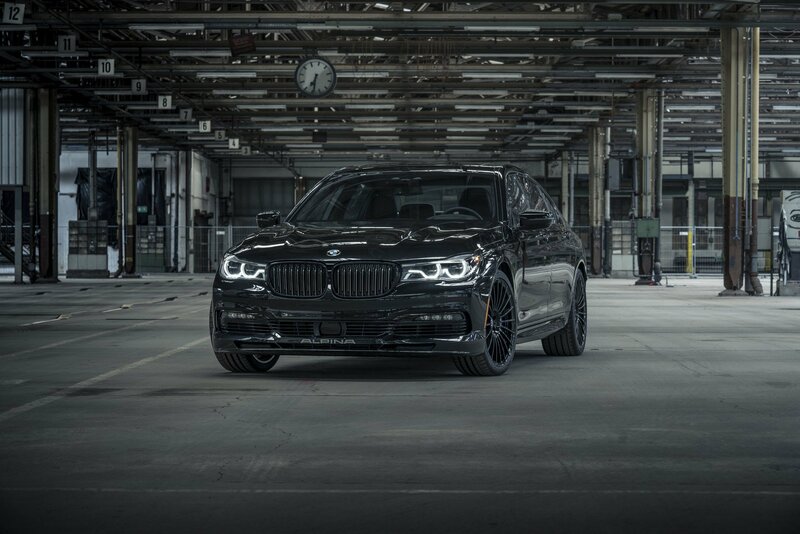 Alpina B7 Exclusive Edition will appear in Canada in July at a price of $158,500.